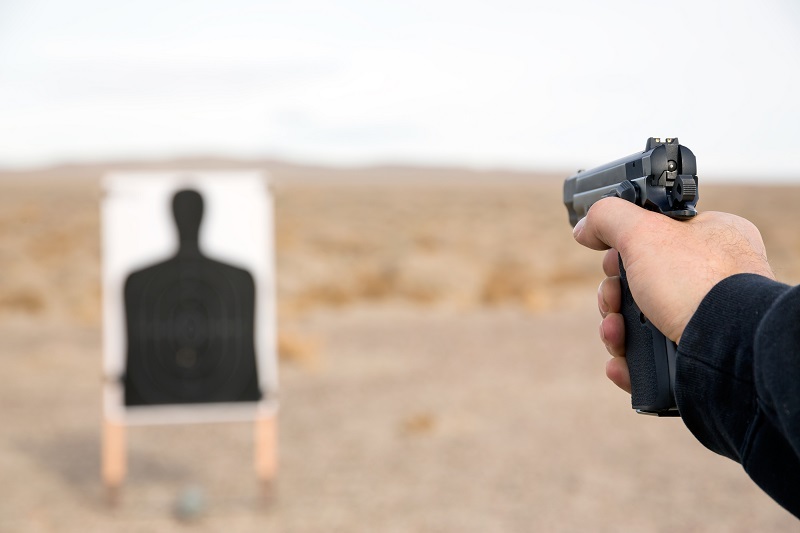 One of the most persistent gun myths is that of stopping power, which is the notion that the force of an impact from a bullet will knock down or otherwise stop an attacker. It doesn't exist. It doesn't even take a lot to figure out why. What actually stops a person is not the caliber or muzzle energy delivered to the body as the result of a gunshot. Don't listen to the 10mm fanboys; it's a great big lie and we're going to go over why handgun stopping power basically doesn't exist. Guns and bullets are relatively simple machines in terms of physics. An explosion happens and sends a bullet out of the barrel at a particular speed and force, which depend on the mass and speed of the bullet. 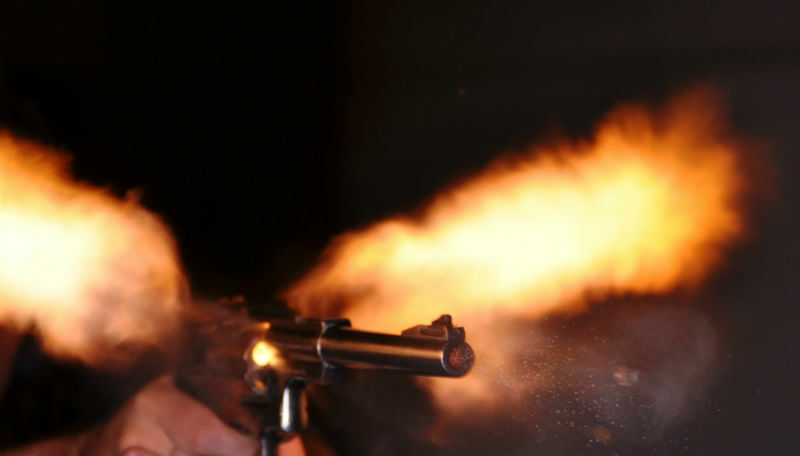 The concept of "stopping power" is that a person will be stopped dead in their tracks or even knocked down by the force of the bullet when struck. Newton's Third Law dictates that the force of the recoil will be equal to that of the bullet itself. 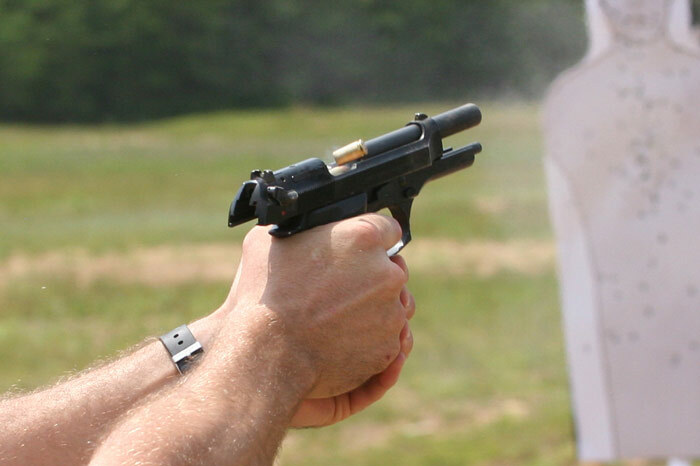 Thus, for a projectile (or shot cloud, if shooting a shotgun) to stop a person in this manner, the recoil would have to knock the shooter down in turn. Shooting a magnum handgun can hurt. A 3-½" 12-gauge shell doesn't feel great to shoot for extended periods and magnum rifles don't either. But do any of them really knock a person over? Not really, and those are long guns. Handgun rounds...just don't produce that much force. Even the .357 Magnum or 10mm or even the .44 Magnum don't produce that kind of force, no matter what people in comments section say. It's just not physically possible. Now, a .577 Tyrannosaur, .700 Nitro Express or some other dangerous game rifle? That approaches knockdown power. The typical handgun? Not so much. The truth is that shot placement matters more than perceived power. It always has, it always will. People have been killed with .22 LR rounds when said rounds are accurately placed. (Good reason to do more plinking.) 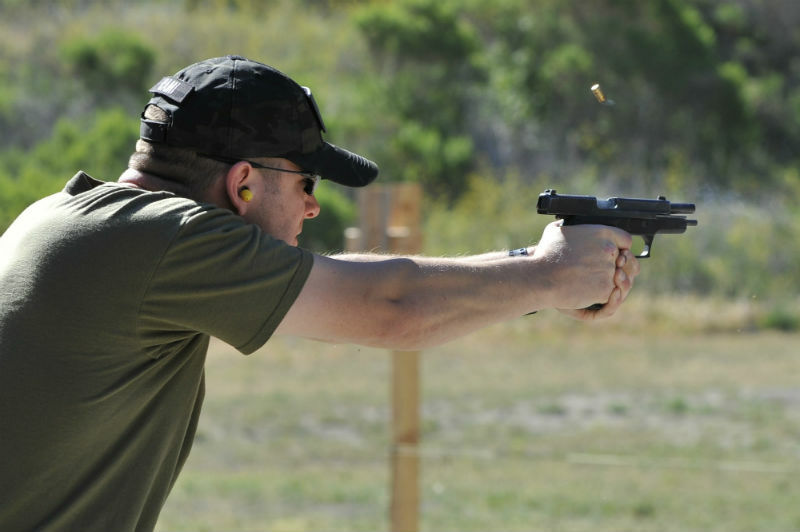 There are people who have absorbed nearly an entire magazine of 9mm and kept fighting. There are people that were in the next county when someone fired a .45 ACP and were entirely unaffected, which some fans of .45 would insist is not physically possible. Ask them and they'll tell you that they fired a .45 once and a supernova occurred a few million light years away. What stops an attacker - or game, if hunting - is placement. Why? Because of anatomy. There are only a few proven ways to compel a person or animal to stop moving. Trauma to the brainstem, trauma to the spine, and trauma to the pelvis, major bones of the leg and/or kneecaps will do the trick. Such traumas either compromise ambulatory function or that of the nervous system, shutting EVERYTHING down. The brainstem is the only known universal "off switch." Hit it...and lights out. The psychological shock of being shot has more impact on an attacker - or, again, a game animal - than the mere physical impact. Things react differently. Granted, performance of ammunition can definitely make an impact, but purported stopping power just doesn't. People or game animals will get a shot of adrenaline as a survival mechanism, spurring them to fight on or flee despite a fatal wound. Ask a few hunters and you're bound to hear of a deer, elk, moose or bear that was hit in the lungs and/or the heart yet still traveled upwards of a mile or more and took hours to track down. Deer are known to travel a few hundred yards after a fatal hit; elk can practically get into the next county. There's something to be said for the power of the mind over the body. A person determined not to go down isn't going to, no matter what he's shot with. The perpetrators in the 1986 Miami Shootout were shot six and twelve times, respectively, before stopping and later expiring. (In both cases, hits to the spinal cord achieved the stop; one of them, Michael Platt, actually died from a hit to the right lung that he sustained early in the fight.) Neither had drugs or alcohol in their system; they just weren't willing to give up. So while it is important to carry a round that has a track record of success, and to carry a good load for self-protection, learning how to place it well matters more than anything else. Stopping power is a myth, and it's time that it gets retired.